Gentle Readers, what could be more fun than spending an afternoon talking about food and books? No, really, what possibly could be more fun than that? Last week, I got to introduce Smitten Kitchen author and blogger Extraordinaire, Deb Perelman, as part of McIntyre’s Books ongoing series of food and book events. Aptly named The Smitten Kitchen Cookbook, Deb’s printed work includes full bleed photos of her delicious food and the same engaging voice you know and love. Bonus: we got to taste recipes from the book prepared by the staff @FearringtongNC. The kale salad was an absolute favorite of mine, as was the brown butter Rice Krispie treat. Don’t judge, my tastes are diverse. And seriously, this is a run not walk moment. They are not your mama’s treats. 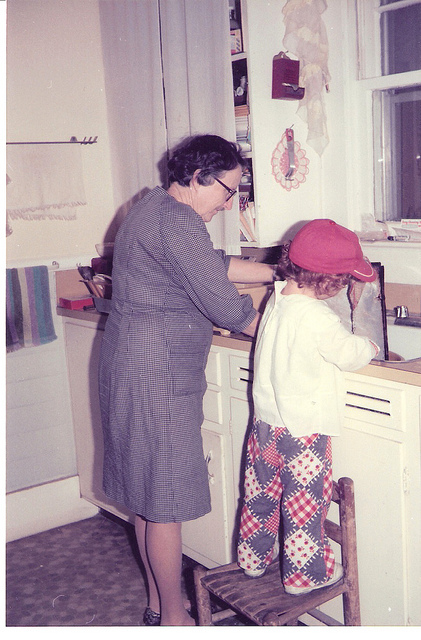 I really appreciate Deb’s commitment to the notion of home cooking, and learning by doing. Shy of burning the house down, you can always order pizza. The point is to try. 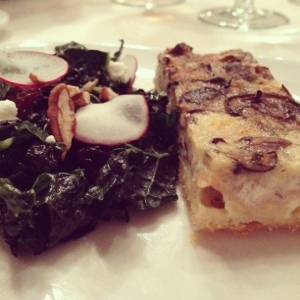 Kale salad with mushroom tart. The cookbook itself is a lovely, lovingly-crafted number, with heft enough to be an excellent choice for cooks from beginner to more experienced. The joy is in the reading of it. 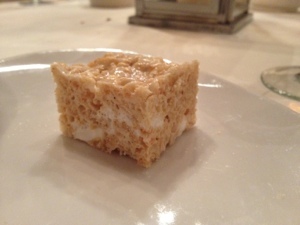 Brown Butter Rice Krispie Treat! 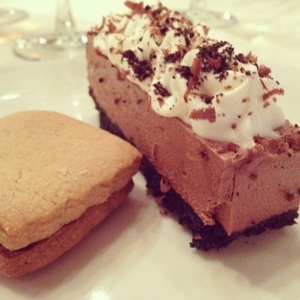 Peanut butter cookie with chocolate and a chocolate silk pie. So special thanks to Keebe Fitch and Katharine Walton for inviting me to participate, and thanks to Deb for continuing to share your food journey with us. Extra extra bonus: I finally got to meet @DurhamFoodie in person after a number of near-misses! 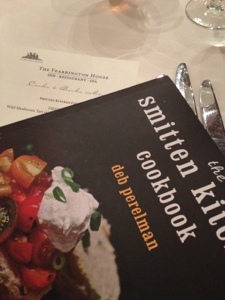 Great to meet Deb Perelman of Smitten Kitchen fame! 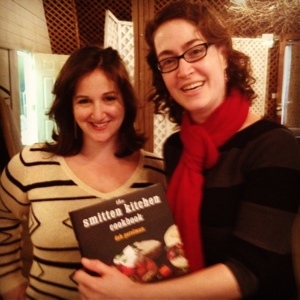 What have you tried from the Smitten Kitchen? Share your comments below! 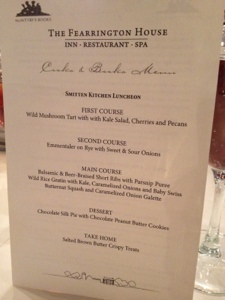 Coming up Sunday, Weekly Menus!